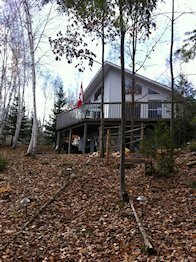 Beautiful open concept, year round, 2 story cottage with loft on 3rd floor. 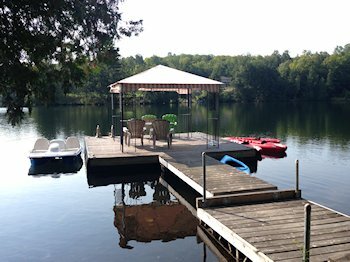 Relax on the deck overlooking lake or down on the huge 16' x 16' floating dock with gazebo. Small lake which is great for swimming, canoeing, fishing and kayaking. Dive right off dock. Great for entertaining and exploring Bancroft and surrounding area. This cottage is elevated so walk down to dock is not suitable for infants or seniors. For more photos and information, please visit garywilson3.wix.com/riddell-lake.